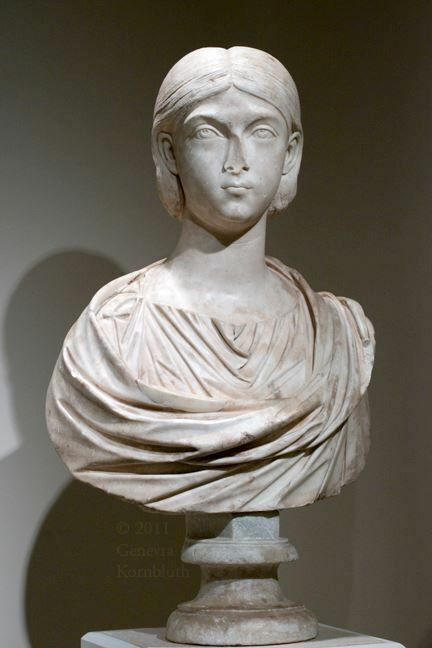 Iulia Aquilia Severa was the second and fourth wife of Emperor Elagabalus. Severa was a Vestal Virgin and, as such, her marriage to Elagabalus in late 220 was the cause of enormous controversy — traditionally, the punishment for breaking the thirty-year vow of celibacy was death by being buried alive. Both marriages were quickly revoked, probably on the urging of Julia Maesa. Elagabalus then married Annia Faustina, a more generally acceptable choice to the senatorial elite. Within a short time, however, Elagabalus had divorced Faustina and returned to living with Severa, claiming that the original divorce was invalid. It is believed that Severa remained with Elagabalus until his assassination in 222. The two are not believed to have had any children.